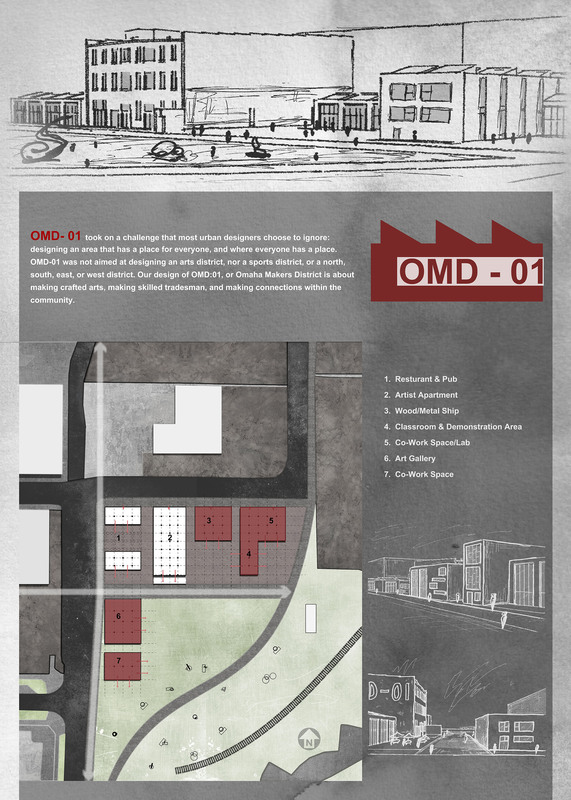 For this competition, teams were tasked with designing the first block of the new Omaha Maker/Arts and Trade. 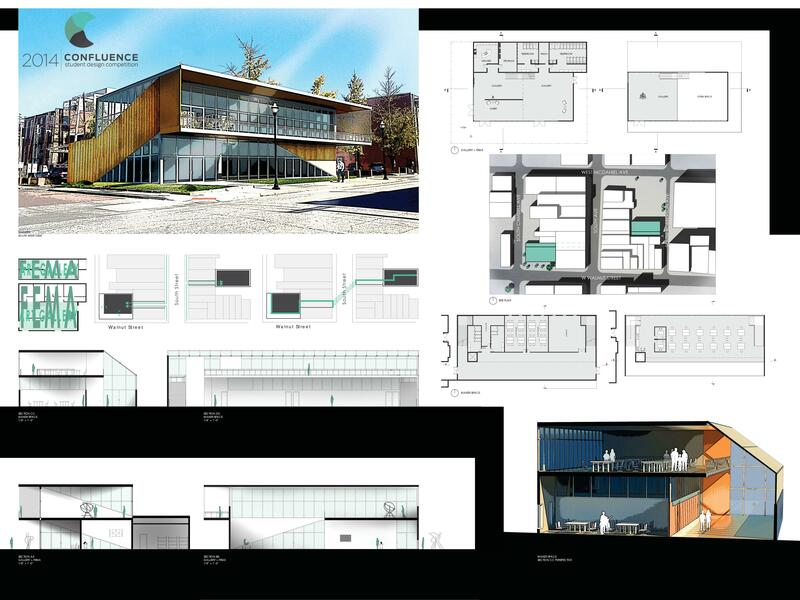 Projects were to provide conceptual-level urban design solutions and schematic-level architectural design for a renovation and/or addition of the existing 3-story warehouse building on the site. 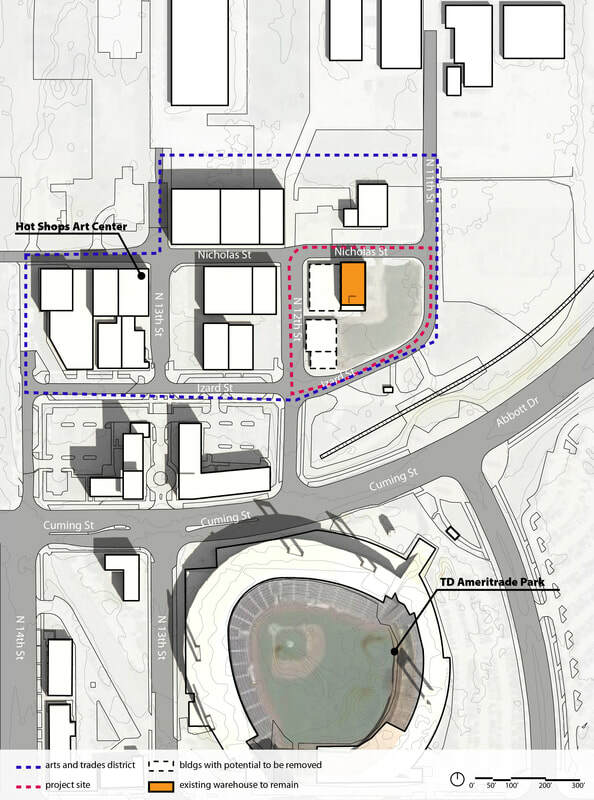 Urban design could extend into the full arts district, but were required to focus on project site block (indicated in red dashed line). 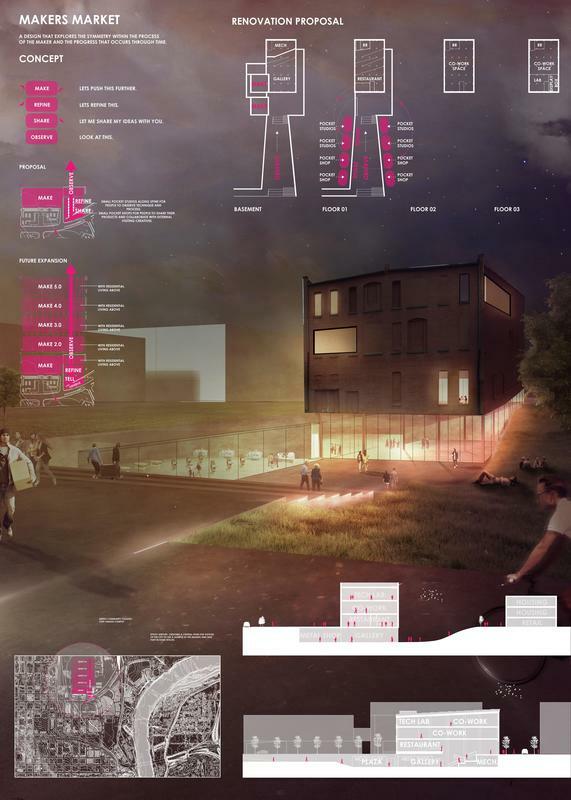 This entry scored very well on all four criteria, starting with a strong concept to activate the alley and connect three blocks of the district. 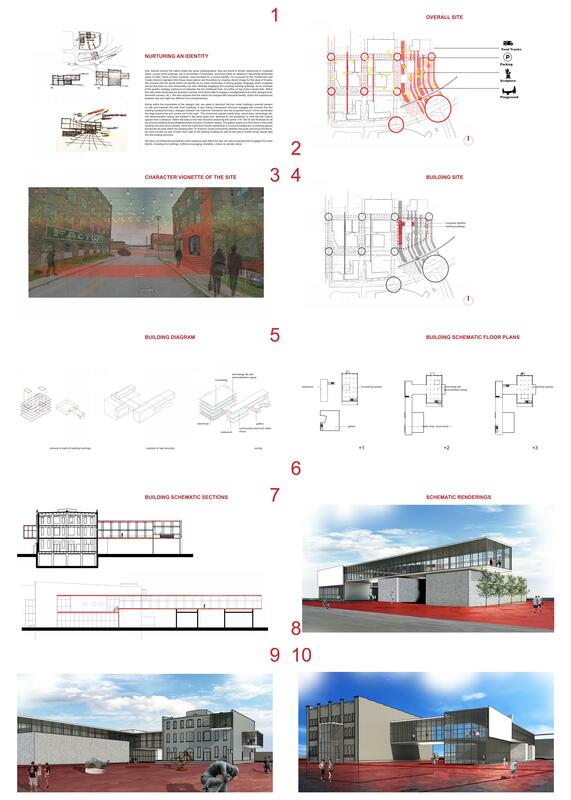 Their idea of inserting new construction into existing buildings to bring vibrancy and life to the alley appealed to the jury, and the open atrium surrounded by art studios and other public spaces seemed like an appropriate level of intervention for the historic building. The presentation was thoughtful, clear, and colorful. Urban Canvas. 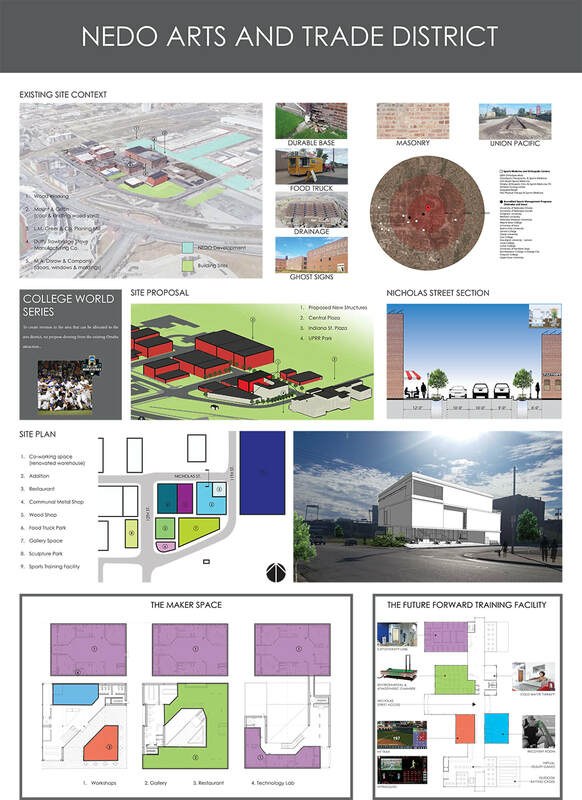 This very convincing concept diagram uses art and the process it takes to make it as the driving force for this scheme. It tracks art from "idea to production to presentation", laying it out along the alley running from west to east. 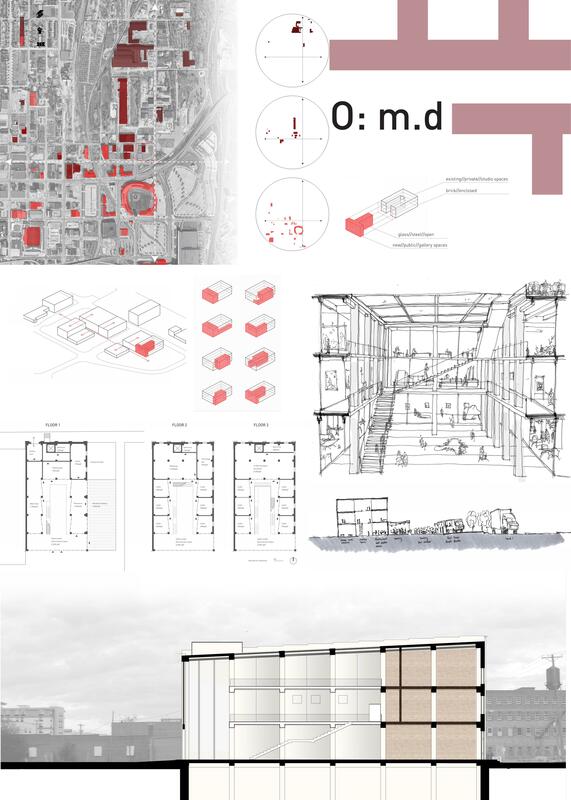 Strong visual presentation helped convince the jury of the merit of this entry even though they weren't completely convinced about the red steel frames. 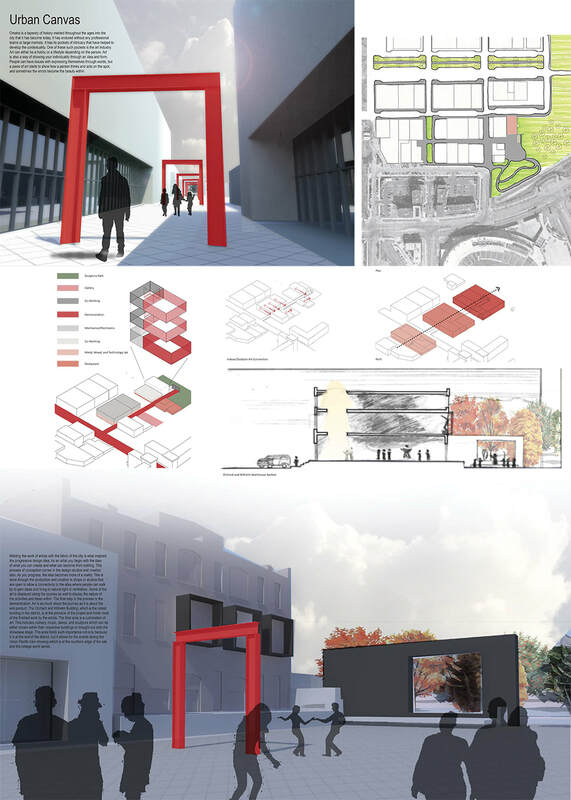 ​The jury was interested in how this scheme proposed extending some of it's DNA into the surrounding neighborhood. 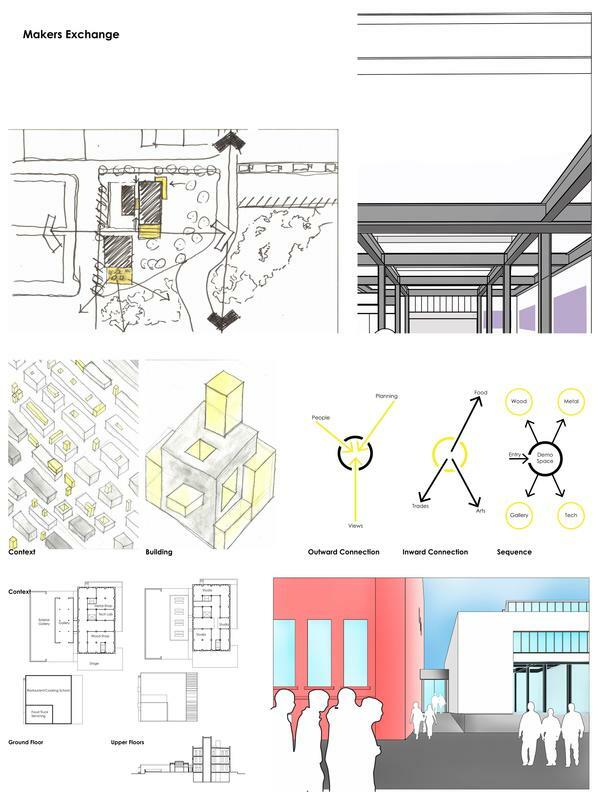 The proposed interventions, illustrated in yellow, became a strong diagram for the development of the project site itself, leading to a sensitive renovation of the existing historic building with an exhibition pavilion and garden gallery delicately attached for display of the works created on site. ​* Firms that went above and beyond the normal sponsor amount to allow us to provide the winning teams a faculty adviser stipend.